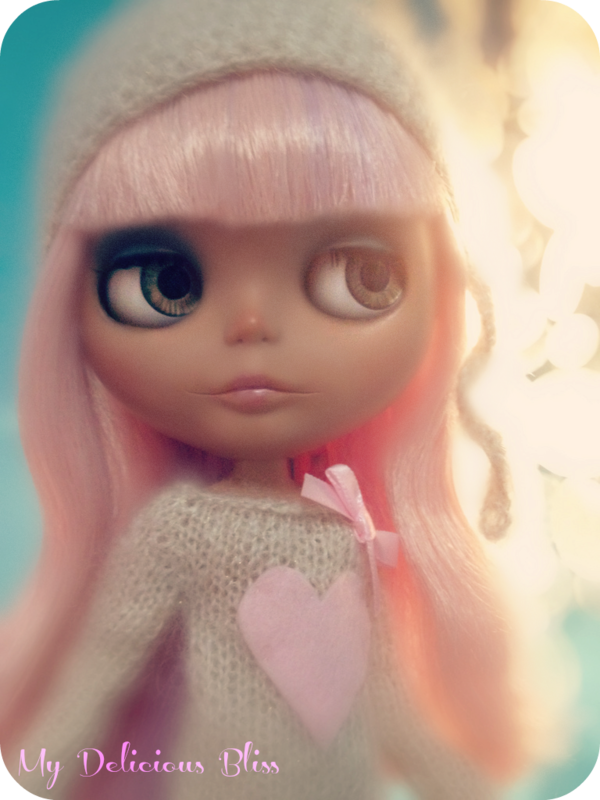 Lovely Luna in Ohchiwawa Kidsilk Heart Sweater and Helmet. 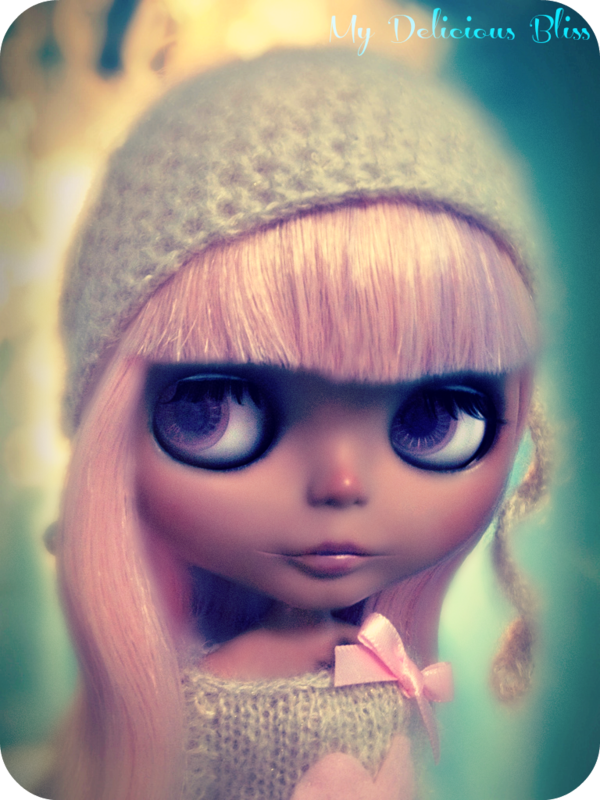 Luna is one of my daughter's Blythes but I love her look so much I always take her to photograph her. Luna is a Heather Sky with a My Little Candy scalp. I love the contrast of her warm skin with the soft pink hair.